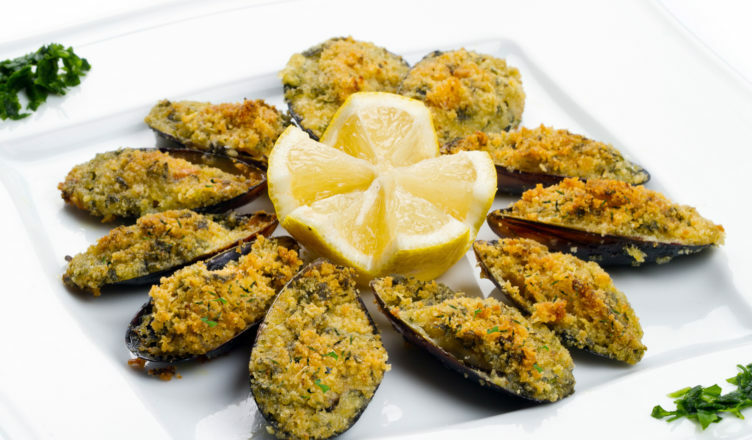 Mussels au gratin are an appetizer that is easy to prepare, spread throughout southern Italy. It is a dish that combines sea food with earth food, thanks to the bread and cheese. The recipe presented here is typical of Molise. Use only fresh mussels and eat them warm right after they have been gratinated: warming them up after they have cooled down would make them rubbery. Share your recipes with us. possibly with one or more photos.